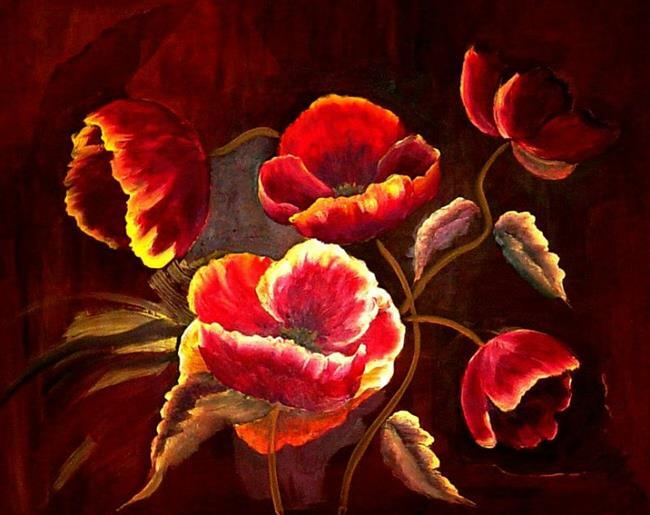 Giant, dramatic red poppies fill this unframed painting by Midwestern artist Diane Millsap. 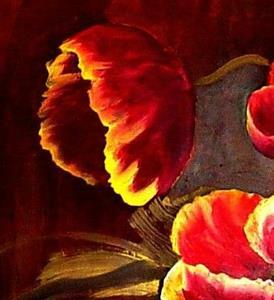 It is painted in the Impressionist style with large sweeping brush strokes on a high quality Masonite panel (a common,stable ground for acrylics and oils). Artist's Statement: Poppies are an interesting flower, because they are not only bold, but at the same time, quite delicate.